i've always really liked the holiday on the first of november. 'dia de todos os santos', we call it. but today i'm not doing all the talking. today i invited my friend Laura for a guest post! Laura is from Mexico, where the 1st of november is pretty important. you likely have heard about 'dia de los muertos'. stones at it until it split open, releasing the presents inside. well today you get the opportunity to learn more about it from a mexican! plus get a 'day of the dead' recipe! For Mexicans, All Saint’s day is a quite special date. Traditionally, we bring flowers to the cemetery and get together to celebrate the death in a way. This may sound a little creepy but the truth is that we believe that our beloved dead pass by to visit us during this holiday. 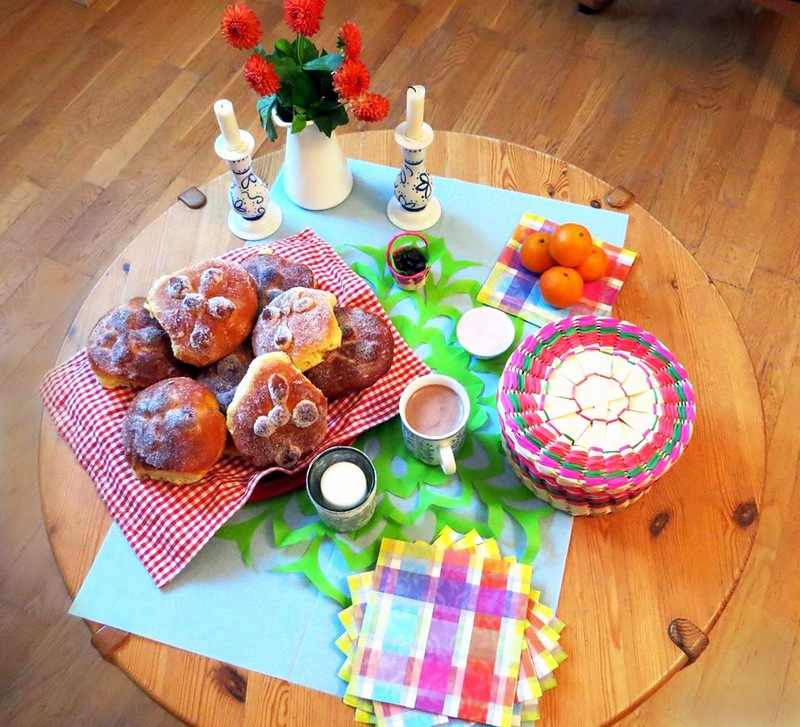 Therefore, we prepare an altar with traditional food, the food they loved, candles, flowers, sweets, fruit, many many colors and our traditional Pan de Muerto (bread of the dead) to welcome them. All around Mexico you would find a million ways to build altars and they will be everywhere, in churches, schools and homes. 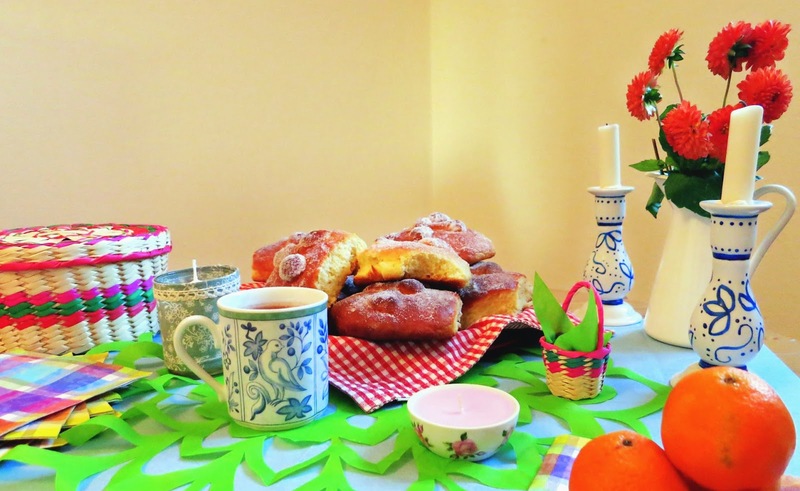 This celebration tends to be cheerful and a great chance to get together with family and friends while enjoying the bread dipped in a cup of hot chocolate. Take the butter out of the fridge to have it temperated. Mix the yeast with a spoonful of flour and some warm water. Leave it covered with a cloth until it bubbles (around 10-15 min). Put the flour in a flat surface and make with your hand like a hole in the middle. Put in the hole: 4 of the eggs, the butter in pieces, the sugar and the yeast mixture. Mix altogether until completely coupled. Make a ball out of it and put it in a bowl covered by a cloth for 2 hours in a warm place so that it grows. Give shape to the little breads, put them in a baking tray with baking paper and leave them 1 more hour or until they double their size. Mix the egg that is left with a little bit of water and varnish the breads with a brush. Take them out of the oven and varnish them with melted butter. What an outstanding post - love everything about it. The colorful pictures, the history and the wonderful recipe! 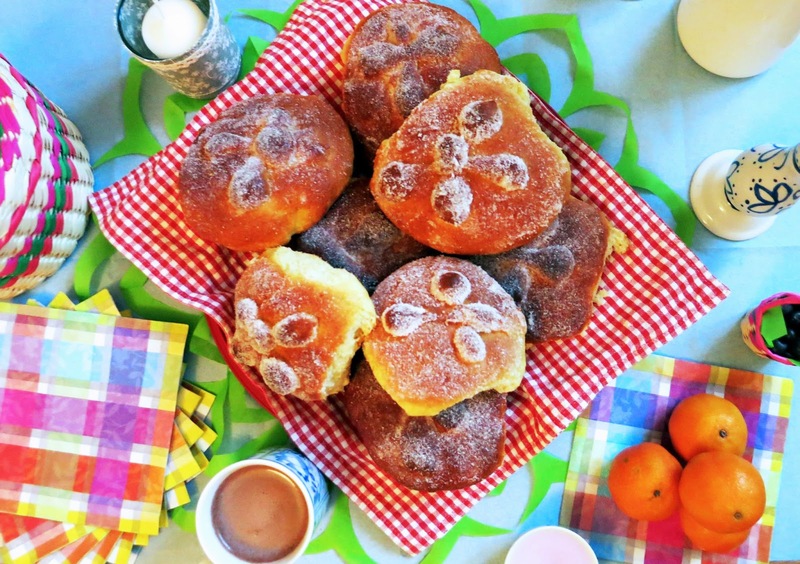 The "pan de muerto" looks wonderfully delicious - I would not mind tasting one of them. I've always wanted to celebrate dia de los muertos with some traditional foods! Sounds like fun! Thanks for the great recipe. Parecem ser uma verdadeira maravilha, tal como esta mesa!